Concussions and Osteopathic Treatment, How Healing Can Be Achieved and Hope Restored. People who suffer from concussions may feel a sense of hopelessness due to the multiple symptoms they experience and fear of long-term consequences. You can regain hope, feel better and heal with proper care. Osteopathic treatment can help restore order to the brain, paving the way for a healing process and normal functioning. A concussion is a serious head injury that can happen to anyone and requires recovery time. Most commonly it’s thought of in association with athletes. and you want to know you are in good hands during recovery. A doctor of osteopathy is a medical doctor who can diagnose and treat concussions. Before returning to the action, a concussion patient will need rest, monitoring and careful treatment by someone who understands their goals and is also concerned for their medical well being as well. It is recommended to take care with post-concussion syndrome and recognize healing is an ongoing process. Dr. Payel Banik is a doctor of osteopathy (D.O.) with a background in neuromusculoskeletal medicine/osteopathic manipulative medicine and family medicine. As an osteopath, she also helps patients recover from sports injuries as well as surgeries. Osteopathic Manipulation Treatment, known as OMT, also helps athletes and others recuperate from concussions. She is focused on guiding the healing process and has a passion for helping people recover and perform at their best. While conventional wisdom for some had been that people are clear to resume sports and other activities once they are asymptomatic, there is a growing awareness about long-term concerns. Responsible return-to-play decisions are made under the supervision of a sports medicine doctor and/or neurologist with monitoring and treatment. It is important to recognize that healing from post-concussion syndrome is an ongoing process. Osteopathic manipulation treatment (OMT) is undertaken to restore order to the cranial unit, reducing inflammation and helping to improve the flow of brain fluid, easing stress on the nervous system and immune system and restoring autonomic function. OMT aims for lymphatic vessels in outer portion of brain (the meninges) to release the flow for the healing process to proceed. OMT has been found in cases of athletes to lessen symptoms and promote recovery. OMT for concussions can release tension in cranial bones, muscles and fascia to foster the healing process so you can feel hope again. 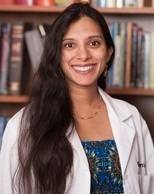 At Osteopathic Healing Hands, you will visit with Dr. Payel Banik for a full one-hour initial consultation. For all appointments and inquiries, please call (713) 527 8499.